I have the best in-laws in the world. Nancy and Ed are in their 70s and have ten times more energy than most people half their age. They're very optimistic, outgoing, fun-loving, generous and caring. 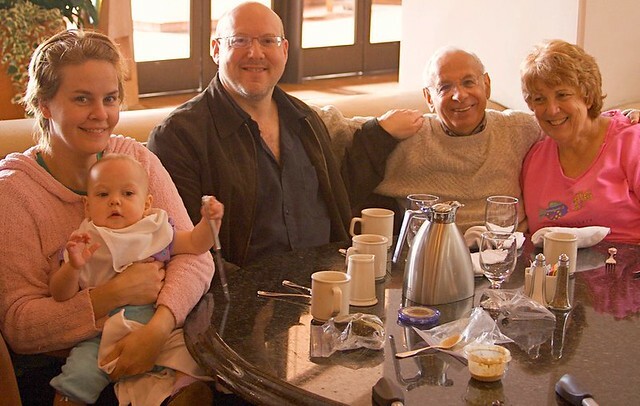 I'm grateful every day for Bubbe & Papa! I gave birth to my daughter Kate four years ago. I discovered “real food” when I found the Weston A. Price Foundation when she was five months old (thanks to my Great Uncle Roy for sending me the link!). My in-laws got on board very quickly. To this day they eat a very healthy diet including lots of raw milk, grass-fed dairy and meat, and they supplement with cod liver oil and probiotics. I know a lot of you deal with parents and in-laws who are not quite so open-minded. I thought it would be fun to interview my mother-in-law, Nancy, and learn about how she got converted to real food. I also asked her to share her ideas about how to help grandparents get on board with healthy eating. Ann Marie: How have you changed your diet since I came into your life? Nancy: So many ways. We now buy raw milk, pastured eggs, grass-fed beef, wild-caught fish. We use coconut oil and butter for cooking. We switched to honey, maple syrup and stevia as sweeteners. We don't drink soda anymore and I'm off caffeine. I drink herbal tea now. We take fermented cod liver oil, high-vitamin butter oil and probiotics every day. We also make our own salad dressing now. We used to have 15 bottles of salad dressing. Now I buy olive oil from Chaffin Family Orchards and I make my own vinaigrette. I make my own mayonnaise and make Russian dressing. Ed likes his salad drowned, so if he's drowning it, he's got to have good oil. It started out wanting to support what you had chosen to do for Kate but then it wound up being about our health as well. I'm 70 and Ed is 79 and we're not on any prescription drugs. Ann Marie: Were you on any prescription drugs before? Nancy: I used to be on Lexapro. I read The Mood Cure by Julia Ross, got off caffeine and aspartame, and was able to get off that. I also used to Xanax occasionally to help me get to sleep but I don't take that anymore. The doctor put me on a statin for a few months and after talking to you about the dangers of statins, we changed doctors and we now go to an osteopath who is more into wellness and preventive health. She worked with me and I got off the statin. Ed was put on on Protonix after he had a hernia. The doctor had him on it for acid reflux. We learned from the new doctor, the osteopath, that he needed to get off of it because it blocking vitamin B absorption. His B levels were very low. He was taking a variety of over-the-counter antacids as well. At your suggestion I started making him a kefir smoothie every day and he began taking probiotics. He's off all the medication now. He no longer has any difficulty with his stomach and his vitamin B status is good. Ann Marie: Was it hard to make all these changes? Nancy: We really didn't make all of them at once. It happened gradually over the past four years. It started with the raw milk for Ed. Ann Marie: Oh, that's right. I remember. Ed was drinking soy milk and I saw it in the fridge and asked him why it was there. He said he couldn't digest milk; it didn't agree with him. I told him why soy is bad for you and suggested he try raw milk. Nancy: Right, but since we live in New York, we didn't know where we could get raw milk. So you looked online and found a source for us. We've been drinking raw milk since then. Ann Marie: Is it difficult for you to get raw milk? Nancy: No, we go every other week. We put our order in on the computer. Sometimes we go once a month because I store milk in the freezer. When Kate's here, we go though a lot more milk and eggs. We also get lots of cream when Kate is here so I can make ice cream for her. I don't understand why anyone wouldn't make these changes at least while their grandchildren are visiting. Because it's supporting their health and their future. But the benefit has really been that our health has really improved and we can travel and do all the things that we love to do because we are healthier. When we talk to our friends about it, they all think it's too expensive and too difficult and they're locked in by not wanting to make any changes. Some have made changes and they have benefited from them. Others tend to be locked in to the way they've always done things and they're limited by it. I don't think this is a function of age; I think young people are the same way. But I think as you get older, you tend to be more fixed or rigid in your way of thinking. I have always believed that if you don't grow and change, you're not really living. So much of this makes sense because there are so many chemicals and additives in our food. As a teacher for 32 years, I saw our school going from one asthmatic child going to 15-20% of the kids using inhalers, on Ritalin, or having other major health issues. Autism is an epidemic. Our children are overweight, have short attention spans, don't exercise, and don't seem to have the joy of learning that they once did. I don't know how much of this is based on poor nutrition or other factors, but I really believe now, learning what I've learned and seeing the changes in us, that the poor nutrition our children have is really impacting their future and their lives. When I look at Kate with other four-year-olds, I am impressed by how solid and sturdy she is. 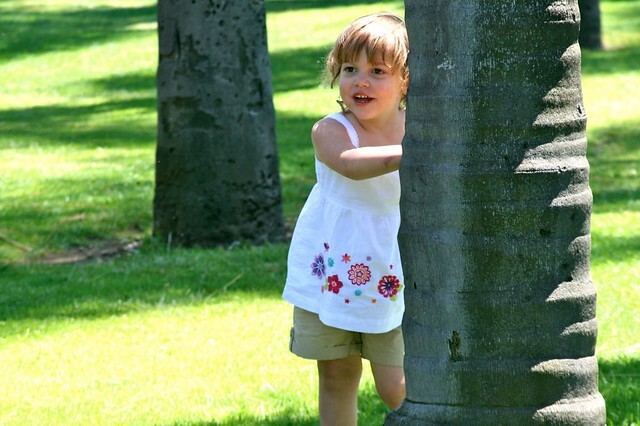 She's bigger and healthier than other kids and has a tremendous zest for life. How could I not support this? Ann Marie: What would you say to someone whose in-laws or parents are having trouble getting board with healthy eating, or even worse, sabotage them in them efforts to change their diet? Nancy: The first thing you have to know is that it's probably a control issue. I remember when my son was an infant, having a huge fight with my mother-in-law over which way the safety pin went into the diaper, whether it was vertical or horizontal. I have no idea which position I took at the time because it wasn't about the safety pin. I was asserting that I was the mother and it was my decision to make. Once you realize that it's about a power struggle, it's much easier to figure out how to deal with it. Talk to your mother or mother-in-law when you're not emotional and explain what you believe in and why you are doing what you are doing. Tell them you need help. That you're fighting against a society that keeps giving them food that is not healthy all the time. There are many ways that they can give their grandchildren treats — as I do — that are healthy. When Kate is at our house, she is overindulged with sweets. Ann Marie: But that's OK, because it's not all the time. Nancy: And every treat she gets is healthy. I make your chocolate chip cookies, creamsicles, homemade ice cream, blueberry coconut flour muffins. I make it all ahead and keep it in the freezer so when Kate arrives she knows what goodies she's going to have at Grandma's house. I also make her “crabby patties” (hamburgers from grass-fed meat,) wild shrimp, pastured chicken, grass-fed steak, Australian lamb chops, potatoes fried in coconut oil, organic vegetables with loads of butter, and other nutritious foods. Once the grandparents understand that they can provide healthy treats and know what to do, they will be very happy to do it. Part of being a grandparent is wanting to indulge the child without the consequences you have when you're the parent. If grandparents can understand what ways they can do that and still be supportive of good nutrition and the benefits for their grandchildren, why wouldn't they do it? I realize that I had it a lot easier than most grandparents because I was able to read your blog, use your recipes, and see photos of Kate regularly on the blog. It might be a good suggestion for the grandparents if they are computer-literate, to read the Real Food Media blogs. That would help them learn. If you give them the tools, maybe that will help. Just saying you don't want them to do something isn't enough. You have to explain how to do it, how they can help. Ann Marie: You have to educate them. Ann Marie: I was using my blog to educate you without realizing it. Nancy: Right. See, I just don't get why anyone would sabotage good nutrition by taking their grandchildren to McDonald's. I just don't get it. It's all about wanting the grandchild to love you and relate to you. You can do that without undermining the parents. I would think you'd really want to support the parents if you believed in what they were doing. Ann Marie: But I think that's the key. A lot of grandparents out there don't believe because they don't know any better. Nancy: They haven't been educated. Ann Marie: So the key is education. Nancy: And also not having a hissy fit when grandparents do something they don't like. Try to see it from their point of view. They've been doing something for 60 years and you're trying to tell them they've been doing it wrong. That's where the challenge comes in. It's not all about the food. It's about power struggles. It's about wanting to be right. Young mothers want to be in charge of their children. As they have every right to be. But grandparents tend to think, I've been doing this all my life and I know better than you. The grandparents are stupid if they don't realize that the parents have the control over the child. Once you realize it's a power struggle, how are you going to change it? By becoming more dogmatic, you're only going to escalate the power struggle. So at some point, somebody has to be the adult and say it doesn't matter which way the safety pin goes. What matters is the parents decide what's good for the child. 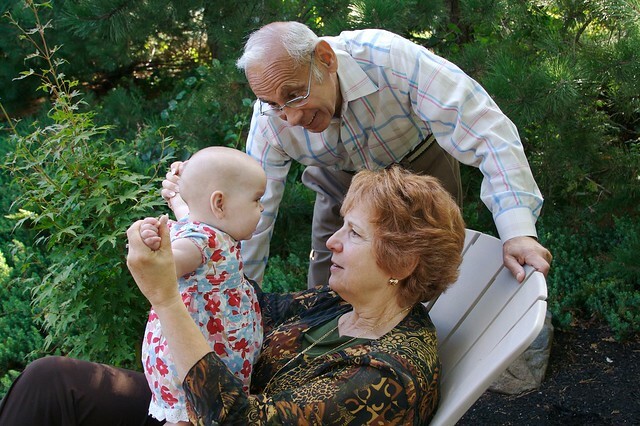 The grandparents spoil them in a way that's not detrimental to the child, or to the child's relationship to the parents. The end result for me is that Ann Marie and Seth want Kate to spend more time with us, not less. So who wins? I do, because I can have a real loving relationship with my grandchildren and that's what matters. Ann Marie: Not to mention the loving relationship you have with us, the parents. Ann Marie: You're a retired teacher. 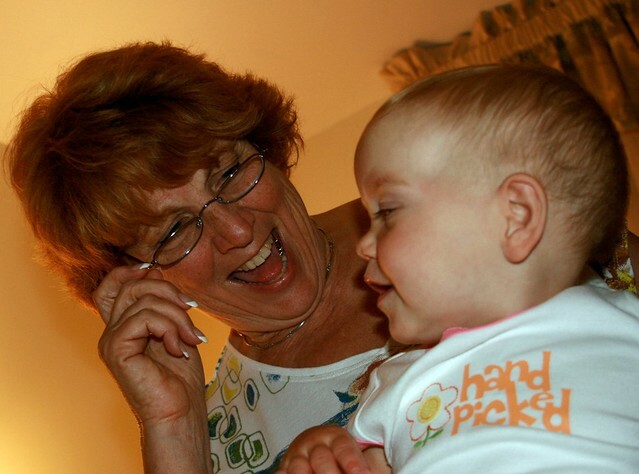 What are some ways parents can educate grandparents about food? Nancy: One thing I will tell you is that grandparents don't like being told what to do. They're used to being the parents and they don't like that role reversal. Change doesn't happen rapidly. Change happens slowly. Whether sweetening with maple syrup is the first step, or getting raw milk in the house for the children. One step at a time. When you're telling somebody what to do, you're saying that they're wrong and you're right and you know better. No one likes to hear that or feel that way. When you show them or explain to them what you're doing, or why you're doing it, it's not telling them. It can't be telling them. It can't be dogmatic. It's got to be on a peer level. It can't be like you're the teacher and they're the child. That never works. The best teaching method in the classroom is modeling. When you demonstrate something, then the child can follow it. It's much more effective than lecture, or giving them a set of directions. If you show them, and model it, and demonstrate by thinking aloud… if you share with them how you're thinking about it. Then as you're physically doing it and showing them, that's how they learn to do something. The same is true when you're teaching adults. If you model your thought process and how you got to where you are, it's a much more effective method of teaching. Ann Marie: So give me an example. Nancy: When cooking together, it's a perfect opportunity to say things like, “I'm using maple syrup because this is a natural sweetener and it tastes good but it's not bad for you. How much do you think we should put in?” That's a good way to teach that most foods are too sweet, and why unrefined sweeteners are better. Nancy: It might be fun, if the children are older, to have them cooking with the grandparents. You can have the children explain to the grandparents. Most social situations involve food so there are lots of opportunities for food preparation. Ann Marie: If you were a parent again, knowing what you know, what would do to help your parents or in-laws understand? I think the first thing I would do is try to do it with a sense of humor and love and warmth. I did realize after the safety pin incident what was happening. And I did have a very good relationship with my mother-in-law — or as good as we were capable of having — because I never got into another power struggle with her again. So the one thing I would avoid at all costs is ever engaging in any power struggles. Because everyone loses. Power struggles result in anger, hurt feelings, sadness, and are just not conducive to warm, loving relationships which is what we all want. So I guess what I'm saying is, I would try to understand the issues the grandparents have and be respectful of them. Ann Marie: Like maybe a tight budget? Nancy: Yes, limited finances, if that's the case. And try to have them understand that it's a lot better to spend more money on good olive oil and good meat than doctors and prescriptions. But you have to first understand where they're coming from. And be respectful of that. Ann Marie: And then you can overcome their objections. Nancy: I think the key word here is respect. There has to be respect on both sides as to what each has to contribute. You can learn from the grandparents nad the grandparents can learn from the parents. If there is open communication and no judgements, it just promotes healthier relationships all around. And what a great model for the grandchildren. Ann Marie: So what do you do when the grandparents feed the kids McDonald's or high-fructose corn syrup? Nancy: It's not going to hurt them if they have it once in a while, if they're eating healthy foods most of the time. If you treat it with anger or resentment, it's only going to cause bigger problems. If you make a big issue out of something, it makes it bigger. If you can try to understand why they're taking them there, you can help them to understand that there are better things they can do to help their grandchildren. I'm no therapist, but the kids are going to want to try McDonald's because they live in a society where everyone eats McDonald's. It has to be an education process. I think you can ask the grandparents to please not take them to McDonald's but you can't ask them to not give them treats. I think you can ask them to give them healthy treats and show them how to do that. It's all about a contest for the child's love. It should be about a contest for doing the most for children because children can never have too much love. What's your experience? 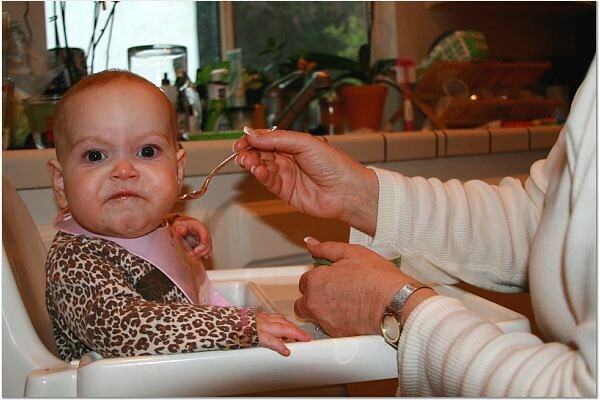 Do you have a tough time with your parents or in-laws when it comes to food? Are holidays and family get togethers a struggle for you? Or do you have parents and in-laws who support you in the way you feed your children? Please share your comments below. Very good article. Sounds like you and your mother-in-law have a good relationship. In my case *I’m* the grandmother, and I wish I could get my grandson on a healthier diet. But I’m the grandparent so I can’t control that unless he’s with me. He just turned two, and he’s very tall and lean and fit and healthy for his age though. He gets fed *mostly* pretty good food, but there are just some things I wish could be eliminated from his diet. I live far from my in-laws, so this isn’t an issue, but I have seen things happen over and over. My daughter knows a kid who nearly died when he was a toddler because Grandpa didn’t believe a peanut allergy could be “that bad” and fed him a peanut (this is a person who can’t even smell a peanut without using the epi-pen). A friend of mine has struggled endlessly with her MIL who is a board “certifi(able)ed” nutritionist, and just can’t understand why HFCS fortified applesauce (“all sugar is the same”), blue yoghurt (“it’s dairy!”) and those violently orange peanut butter cracker sandwiches (“there is protein!”) do not constitute a healthy meal. After all, that is what she fed her kids. Her son (my friend’s husband), is thin, with a narrow face, and persistently unmotivated, probably largely because he insists on subsisting on a diet that consists largely of doritos and pepsi. They have made changes, but because of the MILs stubborn interference in this and other matters, their relationship is greatly reduced. You are a blessed woman Ann Marie. I had a mother-in-law that never voiced anything negative to me… she would go to my husband over the most petty things… and he would sit on the fence and stew before bringing it up in the middle of some unrelated disagreement! It was a definite power struggle but I couldn’t figure out how to get out of it. Finally my husband realized he was contributing to a strained relationship between the women he loved most and he told his mom that I was the parent and he was not the middle-man for her disapproval. The change was amazing. She is gone now but I am so glad for the final years that we had to be tender with one another. That’s a beautiful story, Bebe. Kudos to your husband for figuring that out! What do you do if it is a case of two belief systems colliding? They are educated people; in the medical fields for decades and are convinced that we are risking death by eating raw milk and fermented foods. They believe that irradiated foods are safe and that gm foods will feed the world’s poor. The government enforces pasteurization because it is safer for the American public. They take daily insulin and are convinced they would die without it. They rave about artificial sugars being their saving grace. They think they need to educate ME! Wow, this is such a great article. I think it’s amazing that your in-laws are so supportive of what you do and what you stand for. Older people can be stubborn and set in their ways, but the fact that they jumped right on board speaks volumes about the relationship you all have. There are too many people on prescription drugs that only mask the problem and I’m glad that they were able to ditch those meds for good. Eating healthy is key, and more people have to be willing to stop listening to conventional doctors and nutritionists and take back their health. Keep up the good work. Thanks for this article. Our families try to be supportive of our food choices, but they are also so set in their ways that they have a hard time changing. My mom will feed my boys cheerios (whole grains!) and skim milk (dairy without all that “bad” fat!) while telling them the whole time how healthy it is for them because she really thinks it is and can’t understand why I think differently. At least she put away the candy bowls all over her house! My MIL gives the kids artificial sweeteners all the time because I asked her to cut back on how much sugar she fed them when they are at her house. So they try, but they don’t really get it. It’s great to see that you have such a great relationship with your in-laws – maybe I will get there someday with our parents too! Wow! You’re so lucky. My mother is so stubborn and won’t listen to any of my food advice. I find it so frustrating. When we visit them I try to do as much of the cooking as possible, but it’s difficult to do because I don’t want to step on her toes. Nancy has it spot on. It is absolutely a control issue. When you make a choice that is radically different from the parenting choices that your (or your spouse’s) parents made, it challenges them. They almost always believe that you are inferring that they weren’t good enough parents. After 8 (wow, 8!!) years of eating traditional foods, we are FINALLY making some headway with my in laws. We need to pin the blame where it belongs, on industrial food, not our well-meaning parents. So true, AnnMarie. My own mother – who has led me into traditional foods – feels terribly guilty because I have health problems that are probably related to the modern medical care she gave me, thinking she was doing it best, and just the fact of growing up in the “margarine ’80s” – that we only had butter in the house at Christmas and Thanksgiving. But she was no slouch, either. She cooked, real food. I didn’t get a bunch of boxed and canned junk, she made food out of food. I just happened to get a body that didn’t respond well to these bad fats (and indeed, when I first started eating traditional foods, I made up for 30 years of eating margarine and vegetable oil!). But I try to point out to her that she did her best – she even fought the “law” when she breastfed me in 1968! She was a nurse in the hospital where she brought me into the world, and faced a lot of pressure to bottle-feed me from people who were her colleagues, not just people she would never have to face again. I know she feels guilty, but she didn’t know different. My mom breastfed me in 1968, too! She was a total radical. Didn’t listen to the doctors at the time who were pressuring her to bottlefeed. How lucky are you to have a close relationship with your in-laws! I really enjoyed this article because I am a recent convert to the real food diet and I thought that it would be difficult to get the rest of my family on board. I come from an extremely close family. My father is a doctor and my sister is studying to be one. What this means is that you need to really know what you are talking about before you can even think about discussing a change in diet with them. I surprised them when I told them that I procured raw milk. I was sure that I would get a lecture on how unhealthy and unsanitary raw milk is so I had all my facts in order so that it would not be a one-sided mauling…I mean debate. My sister lectured me a little bit but was open to studying the idea. My father on the other hand was thrilled at the idea of getting fresh milk directly from the farm. He surprised me further by saying that pasteurization was an outdated notion. The worst reaction that I got was from my brother because my nephew drank some raw milk when I took him to the farm with me to get my milk. I directed my brother to study the subject and now my brother refuses to give my nephew anything but raw milk. My parents still get pasteurized milk as raw milk is hard to get in our area but I am happy to say that they told me the other day that they have started shopping at the farmers market and bought grass fed beef. I never thought I would hear the term “grass fed beef” come out of my parents mouths! I am still working with my parents to change some of their preferences such as margarine and cooking with vegetable oils but I think I am slowly making a difference. As a side note, my mother thinks it is hilarious that I take cod liver oil every morning and that I drive out to get my milk weekly. She grew up in rural Wisconsin and my grandfather would also go to the farm to get milk weekly. She also remembers my grandmother giving them cod liver oil every morning to keep them healthy. She thought that the benefits of cod liver oil was an old wives tale. My mother did not start having children until her 30’s which was considered an older mother at the time. My friends always thought that she was younger than their mothers despite the fact that she was usually 10 years older . Not only that but a couple months ago, my mother tried to get a senior citizen discount at a store and the cashier gave her a hard time until she showed her ID to her. The cashier was flabbergasted because she thought my mom was in her 40s when she is actually in her late 60s. My mother is pretty healthy except for issues that are brought on by stress. Compare this to my father who was raised in the city on a modern diet. He is 2 years younger than my mom. Everyone has always thought he was older than her. He has diabetes, has had a triple bypass and a kidney transplant. That is pretty convincing evidence to me that real food is what we should be eating. I need to remind myself to bring this up to my parents! What an awesome story!!! It’s true, people who eat a traditional foods diet tend to look years and even decades younger than people who grew up on modern industrial foods. My five year old daughter got sick twice at my in-laws. My husband told them that too many carbs and sugar will do that. Now they are careful about the sweets, but she still gets other “junk” but we are there a few times a year at most so I try not to worry about it. And our daughter is pretty good about only eating a little of the sweets because she knows that indulging will make her feel ill.
Wow, awesome interview! It makes me extremely sad that my in-laws don’t understand our point of view when it comes to nutrition and go against our wishes. In fact, I don’t feel comfortable with my kids going to their house anymore. I wish I could help them with their health issues, but they believe mainstream medical doctors is the way to go, prescriptions included. So hard to watch, but I have learned to keep my mouth shut. You hit the nail on the head — it is all about control. Wish I could “show” my mother-in-law… but not likely to happen anytime soon. My husband’s relationship is strained with her now too — he’s tired of being the middle man and her complaining and getting on him. I will certainly be referring back to this — this is JUST what I needed. Thanks from the bottom of my heart!! I’m sending prayers and good wishes to you and your family. I am envisioning a turnaround and future close relations. I know they want it as much as you do! great interview! after i learned about real food, my mother-in-law and her husband came on board with me too! My parents too, I am glad they gave up margarine and started eating butter again (as we did in Russia!). My mom still gives my girls store bought treats when they are there once-twice a week (she does make everything else from scratch), but I do not make it a power struggle, because I know they get good real food at home and it will not hurt them to be indulged by grandma once in a while! amazing piece! what a beautiful, educated, loving and insightful mother-in-law you have. i just forwarded the post to my mother in florida. this should be required reading for all grandparents! really well done. thank you. Kelly’s comment about preserving relationships is so true. I tell my kids, people are more important than issues. Not too many people will ever jump on board because of arguments! Neither my parents are MIL are on board, even though my dad was a farm implement dealer. He claims that in the 70’s, farmers could not survive without pesticides. He is all about the family farmer, and doesn’t really believe how much farming has changed, though in their rural community, maybe it hasn’t as much. I get my raw milk 2 miles from their house :). I love this interview! Such good ideas! I think many grandparents would be willing to change if they didn’t feel criticized and if they could take small steps in the right direction. This gives me more ideas for my parents and in-laws. PS – I just referenced your success in breaking your coffee addiction on my blog. I am knee-deep in day two of going cold-turkey with my DLPA support. We’ll see how it goes! Thanks for writing about that, too! I’ve recently started approaching real food. I had a pretty decent diet already, I live in Italy where the laws regarding meat and poultry are safer and healthier than in the US and I live out in the country where there are mostly small farms so I’m pretty lucky that way. We even have automatic distributors of raw milk in the main town. (I’m posting on that next week if anyone is interested). But I’ve been trying to cut out all the other industrial foods we inevitably ate (like chips and store bought cookies and cakes). My mother in law who spends a lot of time with my kids (my Mom’s in the US) tries to do the “healthy” thing by cooking their food in margarine and other “bad oils” and won’t give them raw anything because she feels that’s the unhealthy way to go, even though she grew up in a culture of lots of butter and raw milk and such. How do I get her to rethink her ways and go back to how her parents did it? It’s hard, because she thinks she’s doing the innovative, modern, healthier cooking when it would be so much better if she went back to the canning, butter, olive oil of her youth. And I’m the crazy backward foreigner that doesn’t know what a blessing industrial foods are. ARGH! I want to put in my 2 cents to say this is a terrific post. I think it’s wonderful how your in-laws came on board on real food. Even better that they are off their meds. I want my in-laws to read this, at least the first part about the meds. They both take statins for “extra protection” as neither have a problem with high cholesterol. They were so happy when the dr put my hubby (their son) on a statin. I got him off them. I get very frustrated with his family and their lowfat mentality. I can’t get them to understand how bad lowfat really is, but I’m not with them often enough to get through. At least my mom is sort of on board. Good for you for getting your husband off the statin drug! That is a huge step in the right direction. I’m really worried about what is going to happen in the next few decades with all these people eating low-fat and taking statin drugs. We’re looking at an Alzheimer’s epidemic of monumental proportions. My brother had quadruple bypass surgery a while back and he was doing everything his dr told him. Lowfat, low cholesterol diet and regular exercise and taking statins. I think all of that put him in the hospital, but he won’t listen to me. It’s so sad! The truth is out there but most people just don’t know better and are convinced that listening to the authorities will keep them safe. Wow, Ann Marie – it is clear that you have touched a nerve here. It is interesting and saddening to see how much pain there is associated with dietary differences! Thank you for writing about this topic. This is a wonderful post with lots of great ideas! Thank you!!!! My Mom is pretty much on board with real foods (she grew up on a ranch – on real food). My problem with getting someone on board is with my husband :( He keeps saying that he’s gaining weight eating this way (but he’s not strict with the type of oils he uses or the sugars he eats), yet I’ve lost almost 10 pounds since I started this a couple months ago – the last 10 of the baby weight from my daughter. I know that this is the RIGHT way to eat, the HEALTHY way to eat…and that it will HEAL my body! Excellent, absolutely loved this post. Great insight for all to take in and apply. 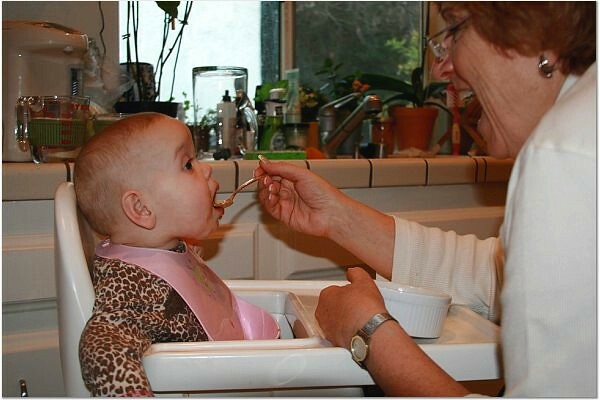 The second pic of Kate in the highchair with grandma feeding her and she looks at the camera is “priceless”!!! Haha I know that is a funny one! Great article Ann Marie! Count your lucky stars you have a wonderful relationship with your in-laws. I would love your MIL’s “Russian Dressing” recipe as it’s one of my favorites. I like to try different kinds until I find one I like the best! Thanks a million! My inlaws are awesome – they buy quanities of eggs, quality fish and meat when they have the granddaughters’ over. Even my sister-in-law makes sure there are GAPS-friendly foods on the menu when we visit. She’s going to start GAPS next month with her children, too! Wonderful interview, and how precious is Kate! I love that defiant face! I love that Kate’s grandmother made all those treats!!!! That was awesome…. SO wish my parents were like your in-laws, boy would life be easier….what a blessing ! Is there a way I can email this post to my parents ? seriously, they would read it but they refuse to use facebook or any social media site.